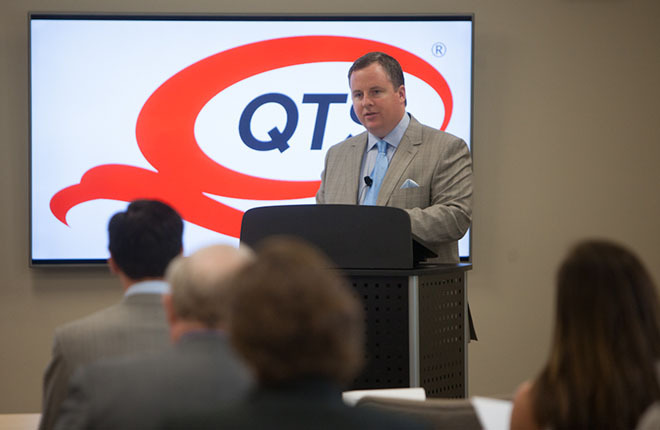 RICHMOND, Va., April 11, 2019 /PRNewswire/ -- QTS Realty Trust, Inc. (NYSE: QTS), a leading provider of hybrid colocation and mega scale data center solutions today announced that the inaugural summit of the QTS Richmond Network Access Point (NAP) will be held on May 7 at QTS Richmond, one of the world's largest data center campuses. QTS Richmond NAP is a consortium of local, regional, national and international interests aligned in the common business benefits of Richmond as a new, ubiquitous global interconnection hub. The arrival of the MAREA and BRUSA subsea cables, which are available in QTS' Richmond mega data center, is a transformative event opening the European, Latin and South American markets to the region via the lowest latency and highest capacity ever deployed between continents. QTS Richmond is the closest scale data center where these networks are available to peer with other networks. The subsea cables provide unmatched global network capacity, speed and savings for enterprises and hyperscalers and companies who are no longer required to connect through data centers and exchanges in Northern Virginia. The arrival of these subsea cables is expected to be a significant accelerant for Richmond businesses and local tech startups while also attracting out-of-region and international enterprises seeking global connectivity. Industry giants such as Facebook, Amazon, Microsoft and Google have indicated their intention to establish a presence in region to take advantage of the new opportunity. While Richmond and Henrico County offer a rich tapestry of existing fiber networks, internet exchanges and SDN networks, there is limited awareness of the market's global interconnection, peering and strategic terrestrial fiber. As result, businesses in the region have felt compelled to go out of region to secure connectivity. The NAP's founding members and key contributors will hold its inaugural summit to bring together technology industry leaders, including the world's largest cloud and hyperscale providers, local enterprise businesses, and state and local officials to educate and inform on the NAP's local and global business impacts. High profile companies that will speak at the summit include Microsoft, Facebook, Amazon, NetSkope, Telxius, Seaborn, Megaport and Packetfabric among others. The event will be held at QTS' Richmond mega data center and is free to those who register online here in advance. MAREA and BRUSA are the highest capacity, lowest latency subsea cable systems ever built. MAREA is a Telxius joint project with Facebook and Microsoft. It will reach 200 terabits per second (Tbps) of ultrahigh transmission capacity and is the highest capacity subsea cable system across the Atlantic connecting Virginia (US) and Sopelana (Spain). This is the equivalent of being able to download 12,000 HD movies per second, or every movie ever made in 42 seconds. "Establishing a global internet hub of any significance occurs once every 10 or 20 years. Like Marseille, France, and Hillsboro, Oregon, an historic confluence of technology, networking, and subsea cable interconnection has established Richmond as a global technology hub and one of the most important business destinations on the Internet," said Clint Heiden, Chief Revenue Officer - QTS. "Investment in the region is accelerating rapidly. In just two years since the cable landings deployment, Henrico County has accounted for 53% of announced statewide investments in Data Processing and Hosting, compared to 6% during the nine-year period from 2008 – 2016, according to Mangum Economics." 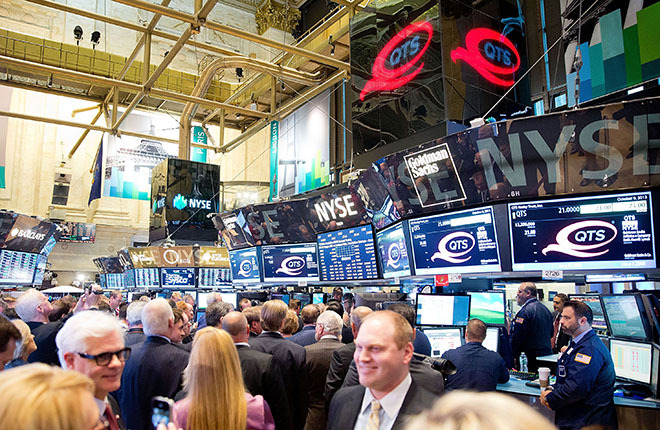 QTS Realty Trust, Inc. (NYSE: QTS) is a leading provider of data center solutions across a diverse footprint spanning more than 6 million square feet of owned mega scale data center space throughout North America. 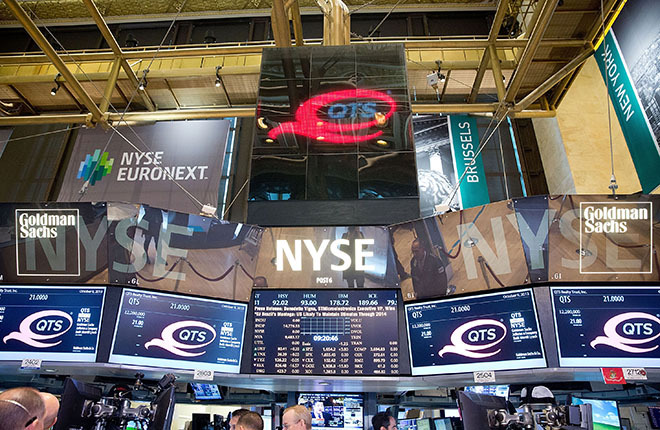 Through its software-defined technology platform, QTS is able to deliver secure, compliant infrastructure solutions, robust connectivity and premium customer service to leading hyperscale technology companies, enterprises, and government entities. Visit QTS at www.qtsdatacenters.com, call toll-free 877.QTS.DATA or follow on Twitter @DataCenters_QTS.